Would you like to learn electronics, with an all-in-one board that has sensors and LEDs built in? Circuit Playground is here, and it's the best way to practice programming on real hardware. No soldering or sewing required! Circuit Playground features an ATmega32u4 micro-processor, just like our popular Flora. It also is round and has alligator-clip pads around it. 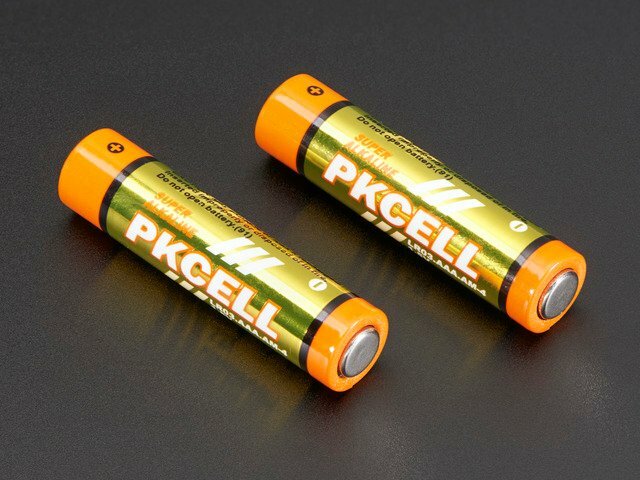 You can power it from USB, a AAA battery pack, or Lipoly (for advanced users). Program your code into it, then take it on the go. Circuit Playground has built-in USB support. Built in USB means you plug it in to program it, it just shows up - all you need is a Micro-B USB cable, no additional purchases are needed! With the new 1.6.4+ Arduino IDE, it takes only a few seconds to add support. The Circuit Playground has USB HID support, so it can act like a mouse or keyboard to attach directly to computers. Circuit Playground started its life as a board with simple requirements - just work with Arduino IDE and Code.org. But since it's initial launch in 2015 we've learned a lot and improved the board greatly! There are TWO Circuit Playgrounds - one Classic and one Express. The Express version can run MakeCode, CircuitPython, Arduino, and Code.org CS Discoveries. Let me take you on a tour of your Circuit Playground Classic (we'll shorten that to CPC). 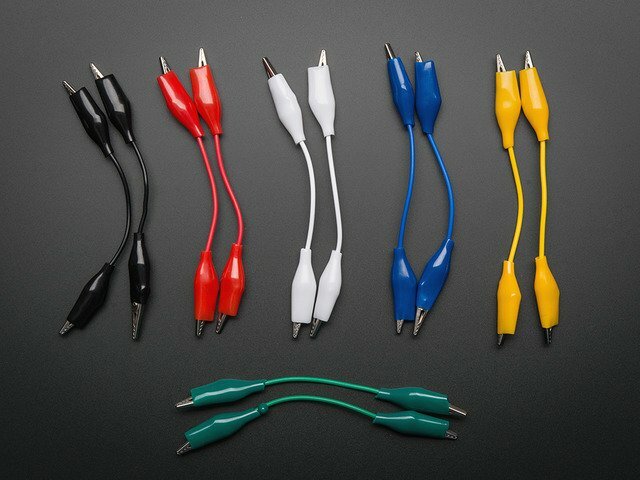 Each CPC comes chock-full of good design to make it a joy to use. This is at the top of the board. We went with the tried and true micro-B USB connector for power and/or USB communication (bootloader, serial, HID, etc). Use with any computer with a standard data/sync cable. To make it super-easy to connect to the microcontroller, we have 14 connection pads. You can solder to them, use alligator/croc clips, sew with conductive thread, even use small metal screws! Of the 14 pads, you get a wide range of power pins, I2C, UART, Analog In, Digital In/Out and PWMt. Some of them can even sense the touch of your finger! See the next pinouts page for more details! All 8 non-power pads around the circuit playground have the ability to act as capacitive touch pads. Each pad has a 1Mohm resistor between it and digital pin #30. You can toggle this pin to control whether the resistor is a pullup or pulldown or floating. Note that this means that all the pads have a 2Mohm resistance between them. The brains of the operation here is the ATMEGA32u4 an 8-bit AVR microcontroller. It sits in the top center, and is what you use to run Arduino! To the left of the USB connector. This LED lets you know that the CPC is powered on. If it's lit, power is good! If it's dim, flickering or off, there's a power problem and you will have problems. You can't disable this light, but you can cover it with electrical tape if you want to make it black. To the right of the USB connector. This LED does double duty. Its connected with a series resistor to the digital #13 GPIO pin. It pulses nicely when the CPC is in bootloader mode, and its also handy for when you want an indicator LED. Many first projects blink this LED to prove that programming worked. The ten LEDs surrounding the outer edge of the boards are all full color, RGB LEDs, each one can be set to any color in the rainbow. Great for beautiful lighting effects! The NeoPixels will also help you know when the bootloader is running (they will turn green) or if it failed to initialize USB when connected to a computer (they will turn red). You can make your circuit playground sing with the built in buzzer. This is a miniature magnetic speaker connected to digital pin #5 with a transistor driver. You can use PWM at varying frequencies to make basic tones. The Circuit Playground Classic has a large number of sensor inputs that let you add all sorts of interactivity to your project. There is an analog light sensor, part number ALS-PT19, in the top left part of the board. This can be used to detect ambient light, with similar spectral response to the human eye. This sensor is connect to analog pin A5 and will read between 0 and 1023 with higher values corresponding to higher light levels. A reading of about 300 is common for most indoor light levels. With some clever code, you can use this as a color sensor or even a pulse sensor! There is an NTC thermistor (Murata NCP15XH103F03RC) that we use for temperature sensing. While it isn't an all-in-one temperature sensor, with linear output, it's easy to calculate the temperature based on the analog voltage on analog pin #A0. There's a 10K resistor connected to it as a pull down. A MEMS microphone can be used to detect audio levels and even perform basic FFT functions. You can read the analog voltage corresponding to the audio on analog pin #A4. Note that this is the raw analog audio waveform! When it's silent there will be a reading of ~330 and when loud the audio will read between 0 and 800 or so. Averaging and smoothing must be done to convert this to sound-pressure-level. We can sense motion with an accelerometer. This sensor detects acceleration which means it can be used to detect when its being moved around, as well as gravitational pull in order to detect orientation. The CPC has some resistor pullups and an extra pin that gives it the ability to perform capacitive touch readings. This is a great way to sense human touch without additional components. Even animals will work if its directly touching their skin! There are two large buttons, connected to digital #19 (Left) and #5 (Right) each. These are pulled to ground when not pressed, and connected to 3.3V when pressed, so they read HIGH. This small button in the center of the board is for Resetting the board. You can use this button to restart or reset the CPC. Press this button once to reset, double-click to enter the bootloader manually. Despite having only 14 pads with 8 general purpose I/O pins available, there are a lot of possibilities with Circuit Playground Classic. We went over all the internals in the last page. On this page we'll go through each pin/pad to explain what you can do with it. No external I/O pads are shared with internal sensors/devices, so you do not need to worry about 'conflicting' pins or interactions! There are 6 power pads available, equally spaced around the perimeter. VBATT - there is one Voltage Output pad. This is a special power pad,it will be connected to either the USB power or the battery input, whichever has the higher voltage. This output does not connect to the regulator so you can draw as much current as your USB port / Battery can provide. Next we will cover the 8 GPIO (General Purpose Input Ouput) pins! For reference you may want to also check out the datasheet-reference in the downloads section for the core ATMEGA32U4 pin. We picked pins that have a lot of capabilities. All the GPIO pads can be used as digital inputs, digital outputs, for LEDs, buttons and switches. In addition, all can be used as analog inputs (10-bit ADC). All pads can be used for hardware capacitive touch. All of the GPIO pads are 3.3V output level, and should not be used with 5V inputs. In general, most 5V devices are OK with 3.3V output though. All of the pads are completely 'free' pins, they are not used by the USB connection, LEDs, sensors, etc so you never have to worry about interfering with them when programming. D9 / A9 - This pin can be digital I/O, or Analog Input. This pin has PWM output. D6 / A7 - This pin can be digital I/O, or Analog Input. This pin has PWM output. D12 / A11 - This pin can be digital I/O, or Analog Input. D1 - This pin can be digital I/O, it is also used for Hardware Serial Transmit, and can be an interrupt input. D0 - This pin can be digital I/O, it is also used for Hardware Serial Receive, and can be an interrupt input. These are the names of the pins that are used for built in sensors and such! Before you plug in your board, you'll need to possibly install a driver! Click below to download our Driver Installer. Select which drivers you want to install, we suggest selecting all of them so you don't have to do this again! On Windows 7, by default, we install a single driver for most of Adafruit's boards, including the Feather 32u4, the Feather M0, Feather M0, Express, Circuit Playground, Circuit Playground Express, Gemma M0, Trinket M0, Metro M0 Express. On Windows 10 that driver is not necessary (it's built in to Windows) and it will not be listed. The Trinket / Pro Trinket / Gemma / USBtinyISP drivers are also installed by default. You can also, optionally, install the Arduino Gemma (different than the Adafruit Gemma! ), Huzzah and Metro 328 drivers. Click Install to do the installin'. Note that on Windows 10, support for many boards is built in. If you end up not checking any boxes, you don't need to run the installer at all! Arduino has over a decade of projects and history, so you'll find a lot of existing code that you can use with your Circuit Playground Classic. Since Circuit Playground is now built into Arduino, it's great for beginners - and you can take advantage of the huge Arduino community. For experts - Arduino is essentially C/C++ with a built in library of hardware interfaces. You can embed assembly, write ultra-fast code, and twiddle registers. The Circuit Playground Classic is 'natively' supported in the Arduino IDE so its really easy to set up! Download the latest Arduino IDE, version 1.8.5 or greater is required! Plug in the Circuit Playground and wait for it to be recognized by the OS (just takes a few seconds). It will create a serial/COM port, you can now select it from the dropdown, it'll even be 'indicated' as a Circuit Playground board! If you ever get in a 'weird' spot with the bootloader, or you have uploaded code that crashes and doesn't auto-reboot into the bootloader, click the RESET button twice (like a double-click) to get back into the bootloader. The red LED will pulse so you know that its in bootloader mode. In the Arduino IDE, re-select the Serial Port to the new port that has been created for the bootloader. Then upload Blink - make sure that works! Once that works, go back and re-select the 'normal' USB serial port next time you want to use the normal upload. We wrapped up everything you need to run Arduino code on your Circuit Playground is wrapped up into a tidy library that integrates all the sensing and lighting. The Circuit Playground library is available on the Adafruit GitHub website. but what's nice is that Arduino IDE comes with a version of the library and its super easy to update. We recommend updating the library even if you just installed the Arduino IDE, we have constant updates! In the menubar click "Sketch", then "Include Library"
At the top, click "Manage Libraries. . ."
Type Circuit in the search box. 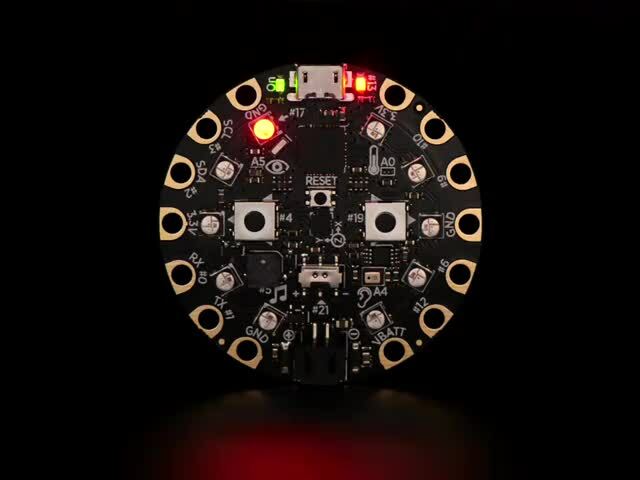 You should see Adafruit Circuit Playground listed. Then click Update to get the very latest version! Now that you have the library installed you can continue. Follow the Arduino Set Up guide page to make sure you can Blink upload. Once that's known to work, come back here. OK you're now ready to load the demo. Under File->Examples locate Adafruit Circuit Playground and then select the demo program. I just plugged it in and I can't seem to connect to my Circuit Playground with Arduino! 99% of initial problems with circuit playground are due to having charge USB cables instead of sync cables. Do not use a cable you've only used for charging a phone. Make sure its a cable that can pass data as well as power. 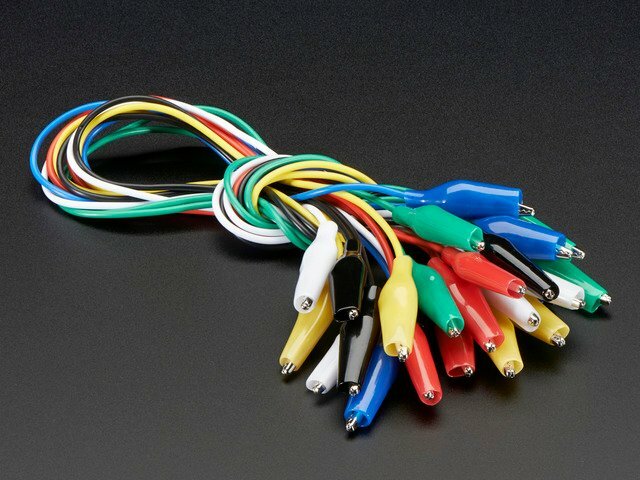 Lately, there's been a lot of products shipped with charging only cables and it's very confusing because the Circuit Playground lights up but does not show up in the Arduino IDE! So, please, try multiple USB cables, and if you find a charge-only cable, cut it in half and throw it away so you will not make the mistake again! I can't get the Circuit Playground USB device to show up - I get "USB Device Malfunctioning" errors! This seems to happen when people select the wrong board from the Arduino Boards menu. Make sure you select Circuit Playground! Do not use anything else, do not use the 32u4 breakout board line. Use the 'repair' technique above to fix it.